This is a wonderful Party TUNIC Immersed in the patterns of ancient India, the MAGENTA AND GREEN Hand Embroidered fit elegantly in every occasion. Add more charm and elegance to your femininity wearing this Kurti. The Kurti have been adorned with High Low Hem style giving the Kurti a charming look. 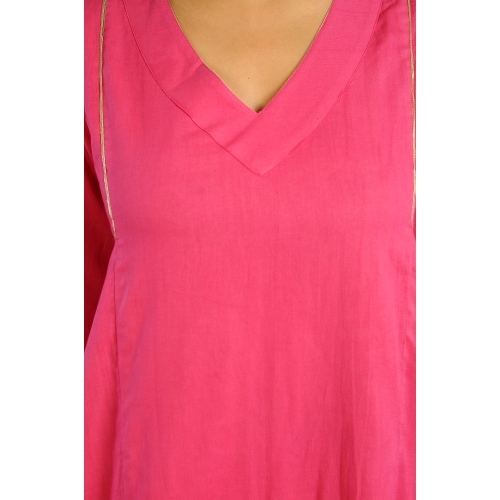 This Kurti suit to any occasion, makes you stand out. Best paired with accessories with some bling.